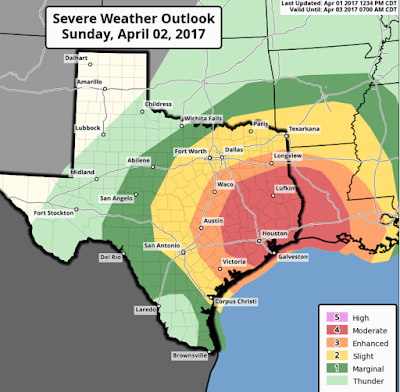 While the forecast may change significantly between now and this time tomorrow, for now there is a serious risk of tornadoes, some violent, and severe thunderstorms with hail and high winds. This includes Lake Charles, Alexandria, Houston and College Station. 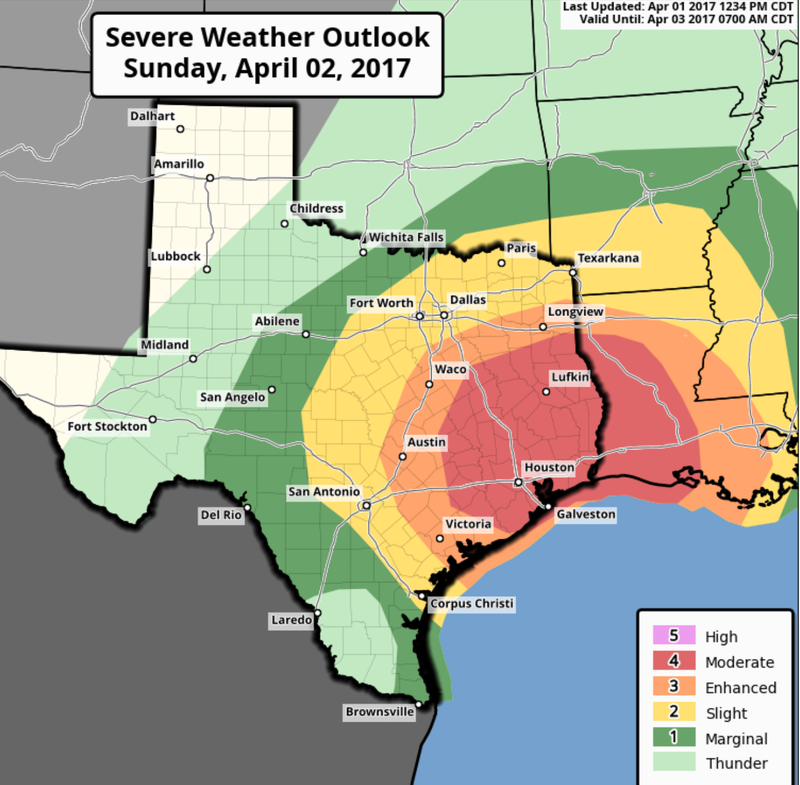 There is a significant risk of tornadoes and severe thunderstorms in San Antonio and Dallas-Ft Worth.